Buttercloud Bakery and Cafe: Come In, We're Open! Shhhhhhh. 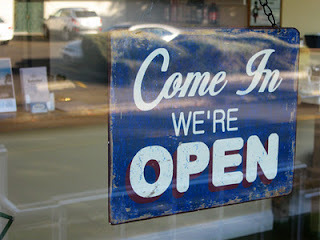 We're open. The official Grand Opening is Friday, but come on in before the crowds to taste some of our delicious baked goods and biscuit sandwiches!